Removals can be quite a complex process. It can be quite a task to ensure every little aspect of it runs as planned, that every item is packed well and moved safely. While DIY removals may seem like economical solutions, the truth is many things can go wrong during the move. It’s far better to hire professional Sydney to Lithgow Removalists like us at Fast Removalists. We have been providing very high-quality solutions to commercial and residential customers across the region for a number of years. As an experienced operator in this industry, we know what it takes to provide flexible and affordable removals Sydney to Lithgow. When you begin your search online for removal companies, you’ll find that a number of results show up. When you go through their websites you realise that most of them state they provide excellent removals Sydney to Lithgow. Full-service removals – This is an ideal option if you don’t have the inclination or time to handle any part of the move. You only have to delegate the project to us and we will handle everything from packing and unpacking to hauling, moving and the transportation. This means you don’t have to lift a finger and can focus on all the other things you need to while moving. Partial removal – If you prefer handling the packing and unpacking yourself or are looking for a budget removal option, this service is for you. As part of this service, you hire us only for loading, transport & unloading. Furniture removals – If you have large pieces of furniture that need to be moved, our removalists Sydney to Lithgow with insurance can hand the job expertly. They will dismantle larger furniture, pack everything safely, transport and reassemble it at the destination. Backloading – This is a great option for when you need to transport very few items or just a few pieces of furniture. In this service, you have the option to book only a portion of the truck and the transportation costs are divided over the rest of the clients opting for the same service. Since you pay only for the truck floor space you need, it becomes a very affordable furniture removalist solution with no compromise on quality. Planning – As a safe furniture removalist company, we know that even the smallest and seemingly simple moves require the right planning. Moving different items and furniture takes physical ability, skill, and the right techniques. Our moving professionals undergo regular upgrade training which keeps their skills sharp. They will discuss your requirements at the outset and then create a detailed packing, transportation and unpacking plan. Logistics – The logistics of the move is another thing we focus on. This includes the road conditions, distance to be travelled and the number of items to be moved. 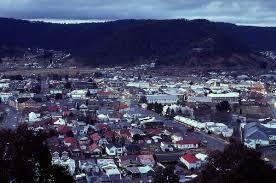 We are the removalist Sydney to Lithgow with insurance cover and this means your interests are covered. Packing – No matter how small or big, bulky or fragile an item, it would need adequate packing so that there is no damage to any part of the shipment. We use the best quality bubble wrap, packing peanuts, boxes and furniture blankets etc. to ensure that none of the items are damaged. As one of the most reputed, high-quality removal companies in the region, we know exactly how precious your belongings are to you. This is why our professionals go to great lengths to ensure the entire move is handled in a glitch-free manner. For any more information about our Sydney to Lithgow Removalists services, feel free to call Fast Removalists today. You can get a rough estimate for your move via the removalist cost calculator on our site, and then call for a more accurate quote.